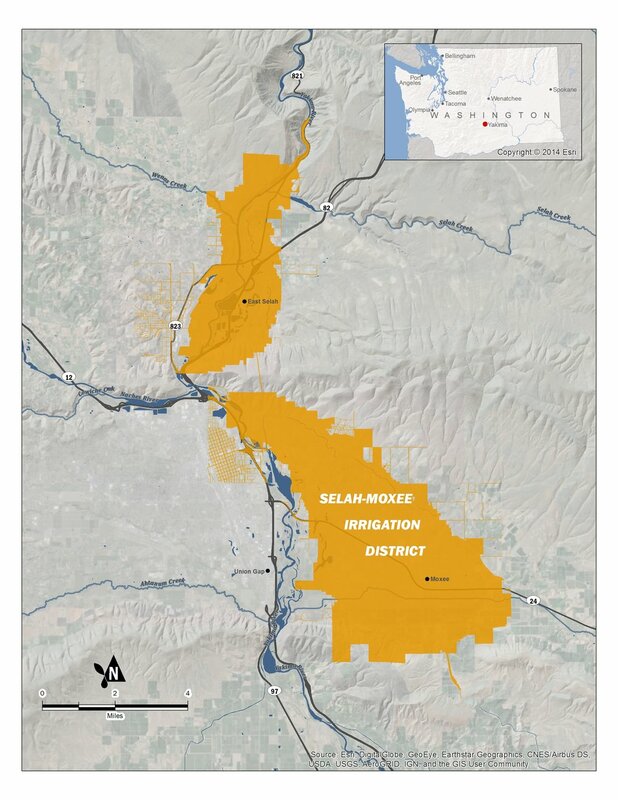 For over a century, the Selah-Moxee Irrigation District (SMID) has irrigated over 7,000 acres of the some of the most productive agricultural land in the Yakima Basin. However, areas surrounding their district have been challenged by declining groundwater for decades. To help ensure greater water security in the region, SMID assessed their water rights portfolio to see how they could leverage their currently supply to offset these declines. Aspect set the stage for broad water management strategy improvements by auditing their water rights portfolio, including conducting GIS surveys to determine potential consumptive and non-consumptive water use savings from land use changes and canal lining. This groundwork led to helping SMID secure $150,000 in grant money to find supply side solutions around declining groundwater in their area. The district has clear first steps to a more secure water supply for Yakima Basin groundwater user. Further groundwater management studies, led by Aspect, include a groundwater infiltration study aimed at retiming Yakima River flows to benefit the river during low flow months and water marketing studies to evaluate expansion of SMID service areas to move declining groundwater users onto more reliable surface supplies.